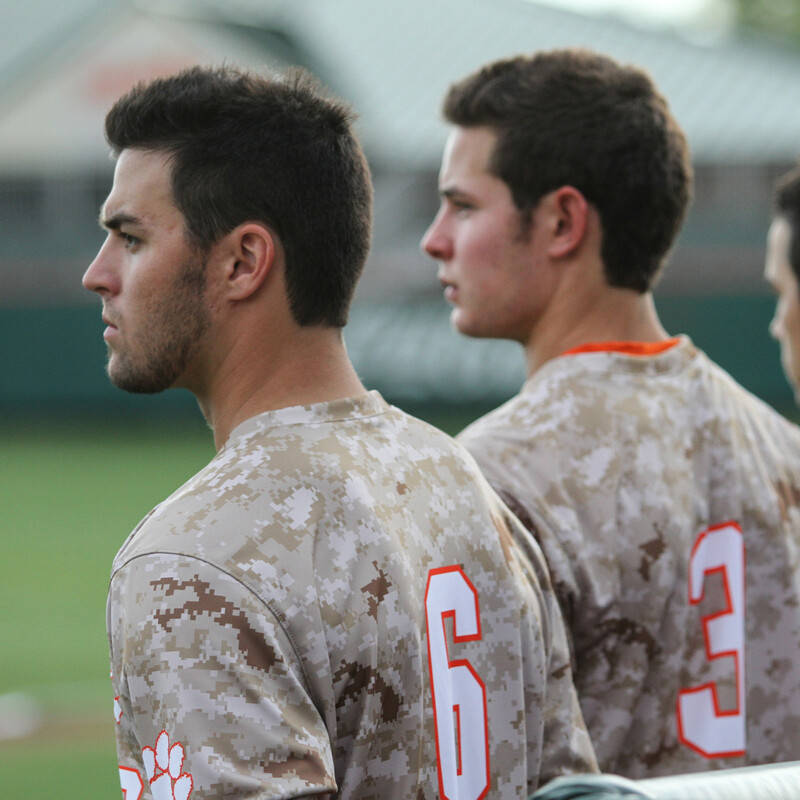 Clemson concludes the home-and-home season series against Georgia at Foley Field in Athens on Tuesday night. 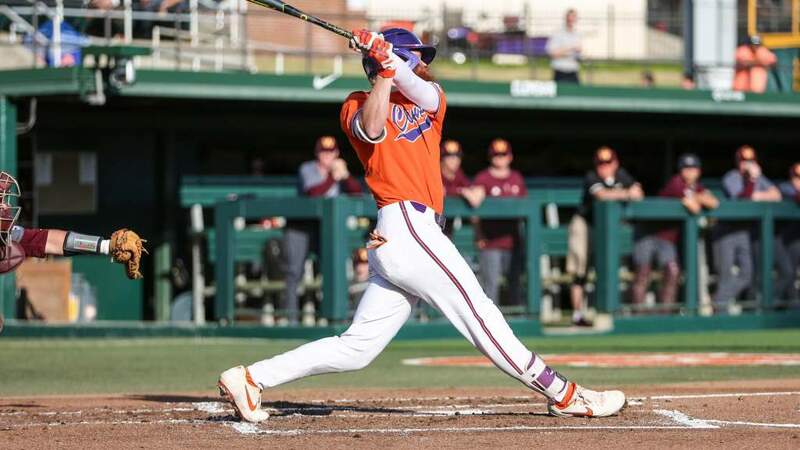 CLEMSON OVERVIEW• Clemson, who has won five games in a row, swept Duke in a rain-shortened series at Doug Kingsmore Stadium last weekend.• The Tigers are averaging 6.2 runs per game and hitting .283 with a .369 on-base percentage and 42 stolen bases.• The pitching staff has a 3.62 ERA, .248 opponents’ batting average and 2.57 strikeout-to-walk ratio and Clemson is fielding .963. GEORGIA OVERVIEW• Georgia is led by second-year head coach Scott Stricklin.• The Bulldogs were swept 2-0 at home by Louisiana State last weekend. They are hitting .268 and have a 4.29 ERA and .971 fielding percentage.• Stephen Wrenn is hitting a team-high .317 with five homers, 21 RBIs and 20 steals, while Nick King has 14 steals. QUICK HITS• Georgia downed Clemson 3-2 at Doug Kingsmore Stadium on April 7. The road team has won the last eight games in the series.• Clemson has 2,699 all-time wins, ninth-most in history among programs at the Division I level.• During Clemson’s current five-game winning streak, it has outscored the opposition 41-13. PINDER PLAYING LIKE A VETERAN• Freshman Chase Pinder has been a starter at second base most of the 2015 season.• He is hitting .273 with 18 runs, seven doubles, one triple, three homers, 24 RBIs, a .376 on-base percentage and two steals in 38 games.• He has 19 walks and four hit-by-pitches against only 18 strikeouts.• He is hitting .386 with runners on base, .395 with runners in scoring position and .356 with two outs along with 14 two-out RBIs.• He has a solid .969 fielding percentage, committing only five errors.• He is hitting .292 with two homers, five doubles, 15 RBIs and a .395 on-base percentage in 19 ACC regular-season games.• He had never played in the infield prior to Clemson, but played second base while Tyler Krieger was injured.